Manchester United are confident to make progress in their pursuit to sign Real Madrid striker Alvaro Morata, according to The Daily Mail. The report claims that Real Madrid are holding firm for a price of £65m for the 24-year-old striker, that could end up proving to be a stumbling block in the deal. The Red Devils have been heavily linked with a move to bring the Spaniard to Old Trafford in recent weeks but a deal is yet to materialise. 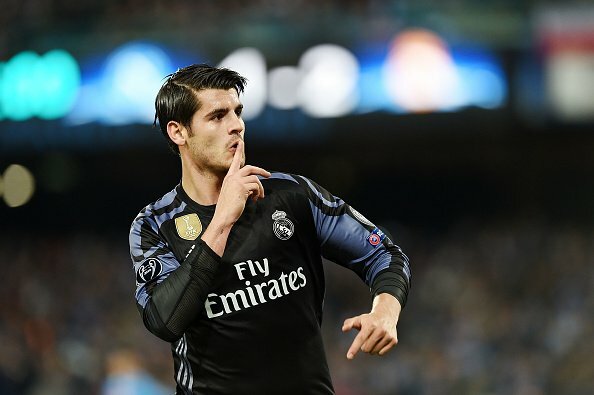 Morata has already informed Los Blancos of his desire to leave the Bernabeu this summer and that Old Trafford is his preferred destination. The forward himself is currently enjoying quality time away from football after marrying his girlfriend Alice Campello in Venice last week. United are preparing for the Champions League next season after they won the Europa League under Jose Mourinho’s first campaign in charge. It is understood that, Mourinho will be keen to strengthen his squad this summer, with the club having so far only secured the services of defender Victor Lindelof from Benfica.